Continued work on PowerDevil, and the "NetworkManager" and "Weather" Plasmoids. Monochrome action icons in Plasma expand to cover KRunner. A first working version of QEdje script engine, and the import of a "Window Manager" runner. Work on new containments and a mobile internet devices (MID) panel in Plasma. Various improvements in Konsole and the Kvkbd keyboard utility. Support for adding actions implemented by Kross scripts in Lokalize. First version of a MathML presentation markup importer in KAlgebra. Start of work on a Mollweide projection in Marble. More work on integration of Jabber-based network games in KSirK. Continued work towards Amarok 2.0. Better support for LilyPond links in and the "--unique" command-line switch (similar to KDVI) in Okular. A new version of Klotz (previously KLDraw) with database update functionality is imported into playground/graphics. The Paint.net red-eye reduction algorithm is incorporated into Gwenview, using a "iPhoto-inspired" interface bar. Start of a DNG image format converter in KIPI plugins (used in Digikam, etc). Various work on filters in Kst, including Butterworth, and Linear Weighted Fits plugins. Support for auto-saving/restoring opened tabs in Akregator. A "cost breakdown" view in KPlato. The ability to create web shortcuts by right-clicking on the line edit of a search field in KHTML. Support for subscript and superscript in KRichTextWidget. Import of KDE Partition Manager to KDE SVN. Ruby and C# bindings are promoted to the KDE 4.1 release branch. Various Plasma applets move to kdereview for official inclusion in KDE 4.2. Amarok 1.92 and KDE 4.1.2 are tagged for release. The purpose of this tool is to allow users - power-tweakers - to swap out individual Plasma desktop theme items with items from other themes (or from a file specified by the user). For example, I like using the Aya theme, but sometimes i'd prefer the analog clock from the Oxygen theme or the new Elegance clock. This tool provides a simple way of doing that. 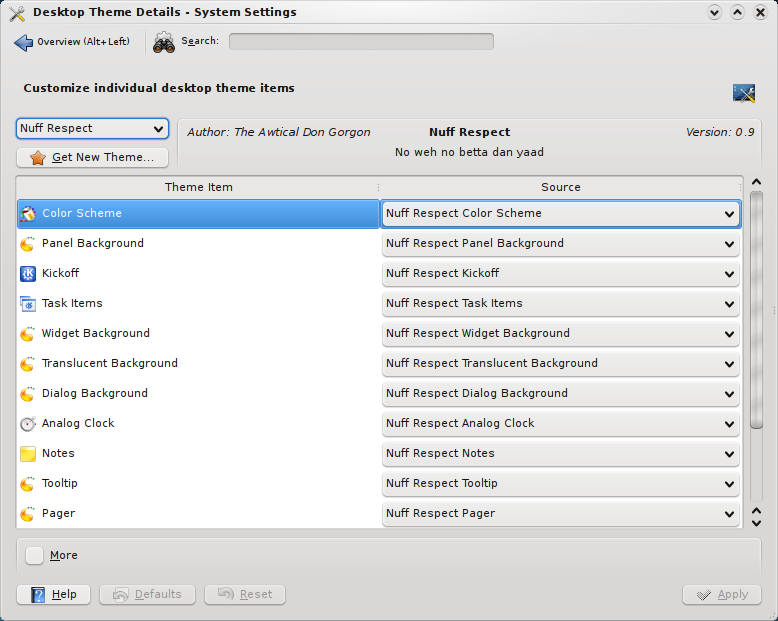 The same goes for the color scheme, panel background, task items, etc. Hopefully it'll encourage artwork on individual items as well (users can "Select item from file..."). This is admittedly for the "power-tweakers" (I confess that I can't keep my desktop wallpaper the same for more than a couple weeks!) 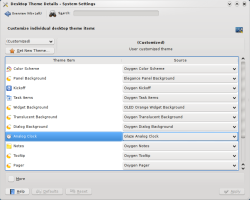 who want to fiddle a bit more than making a wholesale change of the entire desktop theme as is currently allowed with the "Desktop Settings" dialog. 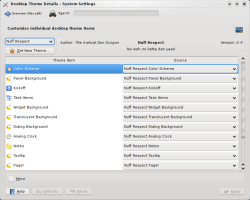 Currently the tool can save and remove themes as well. I hope to add functionality for exporting the theme to a zip file and selecting from existing color schemes created by the colors KControl module. (Note that this is under review right now, so there may be changes based on the feedback provided by the review). KJots has been part of KDE since KDE 1, 11 years ago, and has been ported to new libraries as KDE has evolved through the years. A few weeks ago I started work on porting KJots to the new components of KDE 4: Plasma, Akonadi, and NEPOMUK. This work is in the early stages, but some progress has already been made. So far, the port to Akonadi has recieved the most attention. Some additions to Akonadi may be neccessary as part of this work. Additionally, a prototype Plasmoid has been started, and discussion and scope of the NEPOMUK integration has started. The Akonadi integration will allow keeping multiple Plasmoids syncronized. Multiple Plasmoids will be able to show individual books, or all books known to Akonadi, and of course, different Plasmoids could be shown depending on the users current activity. NEPOMUK integration will allow KJots books and pages to be tagged, and may allow more meaningful linking between pages. It is hoped to complete this work in time for KDE 4.2, but as the scope of the changes becomes apparent, the amount of work needed to complete this is also increasing. Additional interested developers are welcome, so if you want to get involved, you can get in contact on the kde-pim mailing list. The Skype plugin for Kopete has been fixed. It is KDE 3 only, but the author has announced he is working on a KDE4 port (and it seems like he could need some support). I have a suggestion for the next Commit-Digest. Bug 169592. I noticed that comic book archive files (CBR) files looked a little off in Okular, and after about fifteen minutes of looking at the problem Pino Toscano had a solution committed. It was fantastic, and he deserves much praise. Maybe users send these mails regularly to the heroic KDE developers who have bravely fought the invading bugs, but part of me thinks not. I wish more mails like this were sent to contributors (many who work in their free time) to improve KDE for all of us. It would be a great counter-balance to harsh and often unwarranted criticism in the wider community. Because developers need love too! now we get the bug that I reported to TT some time ago: if you use the rubberband with ctrl clicked you lose the _last selection_ done. example: ctrl+click foo.txt, ctrl+click bar.txt, now rubberband with ctrl pressed: bar.txt becomes unselected. Send event to the right screen, without this, krandrtray crashes with dual-head setup, beacuse if it sends the event with a non-existing ID on a screen, m_crtcs doesn't have the ID, and handleEvent() asserts. KMessageBox::sorry() and other non-queued message boxes are evil because they jam the main event loop, which is a problem when other protocols need to handle events. If you're reading this and you maintain a protocol, please consider fixing your protocol. Patch from Scott (whose I don't know the last name ;)) with a few changes, thanks to him! Initial work on new implementation of LinePath. LinePath is now a single dedicated QGraphicsItem which will handle all mouse events, painting and other functionality. This ensures AssociationWidget can focus more on actual "Association" functionality rather than line management. Sidenote: My first commit after an unnecessary long break!! More commits to follow. * Implemented "segment" moving and "point" moving mechanism to adjust the Linepath. * Hovering mechanism is implemented to highlight the line and point being targetted for adjustment. First version of the MathML presentation markup importer. Right now there is only a bit done; in fact the helper classes are just empty so far. Not yet added to building since it's not ready. Improvements on the mathml presentation support. Given proper support to non-trivial limits and functions without parameters. Add the --unique command line behaviour ala KDVI. The "unique" instance is registered as "org.kde.okular". Make Okular able to distinguish the LilyPond "Point and click" links, and make them act as source references when activated. Add filter plugin for butterworth low pass. Add ports for Butterworth High Pass Filter, Butterworth Band Stop Filter and Butterworth Band Pass Filter. Add Linear Weighted Fits plugin. Integrated paint.net red eye reduction algorithm. Until now ambiguous shortcuts have been silently ignored. Show a message box if a ambiguous shortcut is triggered and advise the user how to solve the ambiguouity. The advise will only work if no-one uses QActions and QShortcuts in KDE code. 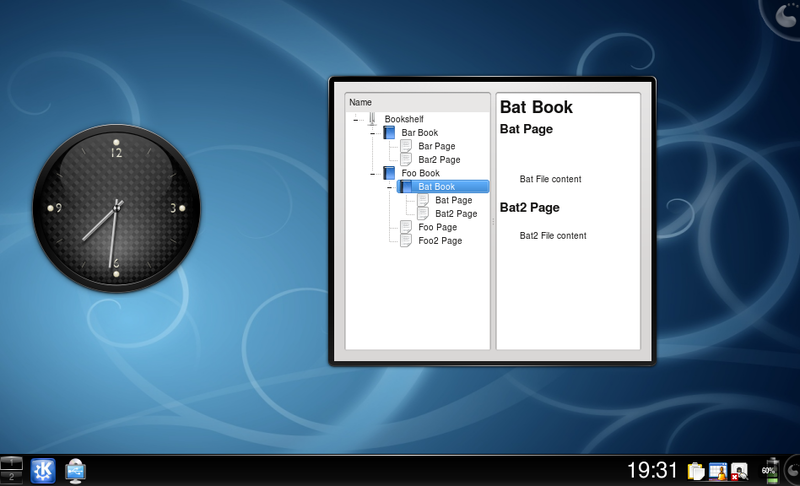 Hook up PowerDevil to the org.kde.Solid.PowerManager* D-Bus interfaces. So from now Solid::PowerManagement will magically start to work when PowerDevil is up and running. Use the new session shortcut feature for kwins "Window Shorcut" feature. Please have a look at commit 863096 too. I accidently commited a part of this part there. Please have a look at the todo "Add the window title" and possibly implement it. That would look much nicer in the global shortcuts kcm. Btw. There are two shortcuts dialogs in kwin. I haven't changed the other one (kwinrules) because it look it works better with KKeySequenceWidget doing the message box. Make the 'bold' property for each color entry in the current terminal palette a tri-state which allows text drawn in that color to be forced to bold, non-bold (normal) or to use the current formatting specified by the terminal application. Improve status icon detection to include changing signal strength. Added motion dynamic physics helper classes to the KWin effects API. These classes are intended to be used to help effect authors move windows across the screen smoothly and naturally. Although not 100% complete the classes can be used for 2D operations in its current state, an example of which is the included present windows update. These classes can be expanded upon when the new modifiers are required. I would like a generic, template-based motion manager class that can be used for non-window objects as well as another 3D-enabled manager to be available sometime in the future. Display battery status in the extender by loading another applet battery applet into it. Actions are now working again. If there are no actions defined for a notification, a "close" action is automatically added which closes it. Closing after a timeout also works. However, the extender is left with a useless message after the notification closes. It should really be hidden (or closed for a detached extender) instead. Haven't yet tested what happens when extenders are open when Plasma shuts down. First working version of qedje script engine. Right now it shows the first group found inside the edje file, but later I'll create a settings UI to select the proper group. Add support for subscript and superscript to the KRichTextWidget. Find mountpoints for unmounted devices in our fstab cache just in case. This way we can apply the "ignore" rule properly and avoid showing the /boot partition of some users when it's not mounted. About time I commit it. 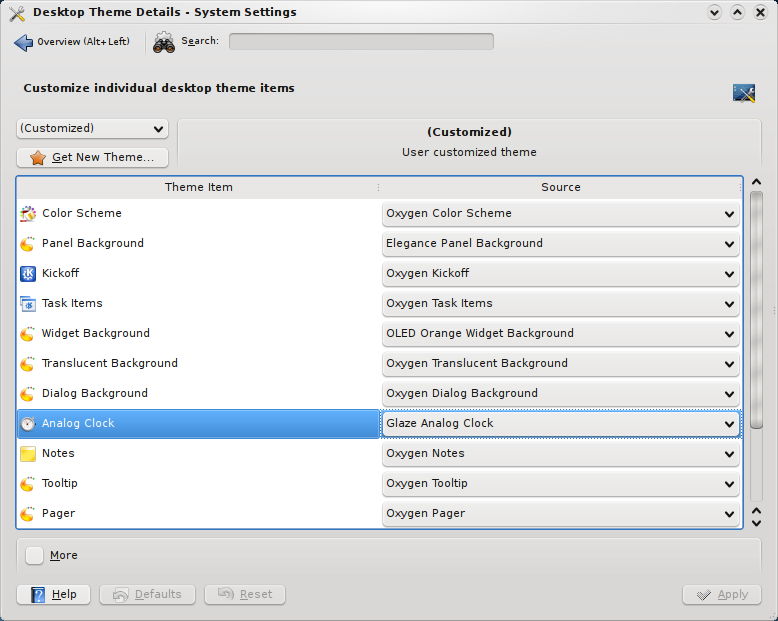 add desktop containment that has couple of configure options more than regular desktop containment. Use powerdevil for doing the suspend stuff, that way, we get policy and additional actions on those triggers -- such as locking the screen. It allows to create web shortcuts by right clicking on the lineedit of the search field. It has been requested opinion on kfm-devel couple times, and no objections have been presented. I think this patch is handy and clean enough. Force kmail to format the incidences with HTML stripped out from their description. Adding support for auto-saving the opened tabs when closing akregator, so that next time they automatically get restored. It works also when closing a kde session and then reopening it. Fixing also a leak in slotRemoveFrame() where the removed frame was *sometimes* not being deleted. Implement Kevin's new --allow-gui command line option that provides for resources that might require an interactive user interface, such as Kolab. I also added this to the 4.2 features page. Cost breakdown view: Add period week and make it configurable. TODO: month, actual cost, deviation, save/load. Star ratings are now shown in the OSD when they exist. Not sure if this completely closes 167263, since I'm not totally sure exactly how the OSD is supposed to behave other than showing the rating. Right-clicking on the playlist when multiple items are selected no longer wipes out the selection. The tag editor dialog now uses the standard star rating widget insteadof a dropdown box with verbal labels. Allow user to open received file/directory from chat window. Remove smiles from file transfer notifications they break layout in most chat styles. Added the rest of the new diamond suit cards. Quite a big update, colour palette change which makes new king, queen, jack cards look better. Improved lighting on new king, queen, jack cards and variation of colours between them. Added some new heart suit cards. Use Xrender to scale the preview pixmaps in the X server. This is accelerated in HW by the latest version of the NVidia driver and by the open source ATI, Intel and Nouveau drivers when they're using the EXA acceleration architecture. EXA will be the default in the upcoming 1.6 release of the server, which is scheduled for December. Now it'll need some mechanism to trigger the update, but we'll get to that later. This should speed up the powerdevil runner nicely. Make the Jamendo service work with mysqle. This service in particular is significantly faster with mysqle due to the very large number of tracks ( 70k-ish at the moment )! let me introduce: typo of the year "the the"
"the the" -> "to the"
LOTS of documentation written, but lots still to write. Added build config for KTouch to be built without Phonon depedency. Added TODO entries. This version is outdated; KLDraw is now Klotz. No more sidebar for Red Eye Reduction. Now use an iPhoto-inspired bar. Accordingly with Aaron Seigo, move DNG raw converter kipi plugin from my private working directory to extragear. bye bye libkdcraw based on dcraw! why Adobe do not use TIFF orientation tags values with DNG? Importing a Window Manager Runner. Needs the multiple action support patch from reviewboard to compile. Add a small test app for Solid::PowerManagement. Any PopupApplet that manages its appearance was failing if it happened to use a layout. This code should perhaps be moved elsewhere? I can't tell what its purpose is from looking at the surrounding code - I just know that it shouldn't be removing items from my layout. Half merged the extendified_notify applet. Receipt and display of notifications is working, although I've temporarily disabled actions. Change default shortcut for bookmarks from Ctrl+B to Ctrl+Shift+B, now possible thanks to Aaron's fixes to KBookmarkMenu. Reorder pop and condition icon, fix up displaying of text. Show darker color for night vs day. Convert reported date timestamp to a useable string and use this to determine period of day, we assume if it's 4pm or greater then nightfall may be starting (in some places of the world). This adds some private methods night() and periodHour(). We also have to do some ugly a handling for various condition/forecast types. We use m_conditionNightList['condition_or_forecast'] and set this to a valid icon using the enumerated values. Add fog as another condition. Implement the tooltip when text elided. This will help users to find out which file they are pointing to in case that it is elided. At minimum, Kopete is sending an html notification body, so let's use HTML all around. Pass the user's locale to HAL when using the ntfs-3g driver. If ntfs-3g is not provided a locale, it will fail to show any files with non-ascii characters in the name, and fail to create such files. Move these two runners here. Remove my half done switching on ac on/off, since this is now by default possible in PowerDevil. Moved Nepomuk kio slave to runtime. Still needs some code redundancies since the query API is not public yet. Move to review for 4.2 hopefully. Leavenote is an applet + a kded module to allow users to leave notes on a locked plasma screensaver. It can use KNotification and KNotes and has a fallback if knotes is not available. * remove daemon from names as we are no seperate process but a kded module now. * adjust dbus interface if necessary. Everything else should be in its place (hopefully ;-)). Add for review and hopefully ready for KDE 4.2. This applet tests and connects to various DBUS interfaces of messaging apps (yes parts might be needed to port to Decibel (Kopete DBus interface) for 4.2). It is nothing special, but very useful to me, since I don't need to unlock my screen to see if there are new messages. It keeps the privacy by only notifying about a changed message status but nothing more. * Layout is done in a big function which repeats code for every interface. It might be possible to do this better. * DBus usage might be improvable. * Currently the counter starts when the screen is locked. So if you go away, get messages in the time between being idle and screen lock, you won't get notified. This is, if it is desired, fixable with a small kded module loaded on startup and tracking changes for each app combined with a dbus connection to kscreensaver. Maybe Decibel can give similar features (like showing all messages of the last 10 minutes). I'm ready to move this widget to kdereview. Make sure everyone understands that this is a development tool and not our idea of a nice user interface for a PIM application. If the user has a touchscreen, there is no possibility for a right-click. So, show the context menu on a left-click if PDA config is active. Add a hacky way so that we can have the default view name i18n'ed, basically I interchange between translated/untranslated name when showing to the user and when doing KConfig I/O. The fact is that one should not use default kcfg values for user visible strings. Tobias, a better method is probably needed but the "proper" fix would be too much for me that know nothing of KAddressbook structure. Next KOffice sprint site, attempt 2: Yes, I know. Don't install a random assortment of scripts. No longer installed: tester, webcontrol, script console. Not useful for user joe blogs. Make manually saving a playlist jump to the playlist browser, open the correct category and start an edit operation on the newly created playlist. This might be a bit brutal, but it is _much_ better IMO then pressing the save button, having nothing visible happen at all, and ending up with 100 entries named "playlist" in the playlist browser. lfranchi. is this safe when batch adding stuff? Now I have to supply the channel list. Then kalva will need a device plugin and a scheduler plugin. So now Amarok 2 requires the libmysqld.a library. On OpenSUSE, this is installed with libmysqlclient-devel, YMMV. We're pretty close to the beta2 tag, so if something is commonly not working ping me and I'll revert. It'd be really nice to have this tested in the beta2 though. The reason for the 'FindMySQLAmarok' file is that the default FindMySQL couldn't find mysql embedded on my system. I figure there might be some more corrections needed, then we can submit our changes upstream in ~1 month. Filter out genre names consisting of only 1 or 2 chars. This removes a lot of stuff like 01, 04, 1 or 27 that otherwise is the very first thing the user sees when opening the service. Besides, as the Jamendo service supports multiple genres per track, all content is likely located under other genres as well. Get rid of the album box thingie painted around the album cover in the current track applet. It did not work well with album covers that were non completely square. Ruby is not required anymore. Thanks to Valerio Pilo for the heads up/fix. Initial import of a new, simple KDE XML-RPC library. Import a first draft for the new Library. Big chunks are just copied and adapted from puzzlelibrary[_p]?.[h|cpp]. The new Library classes are not used anywhere by now. Replaced the "Allow Unsafe Moves" option with a "Prevent Unsafe Moves" option, which (I think?) should be less confusing. Replace our custom queries with Bugzilla::Search, which removes thesyntax errors, but doesn't give us any results yet.